There is a mural of Joanna Jedrzejczyk fighting Claudia Gadelha on a wall in the EA SPORTS offices. These are two of the many female fighters featured in "UFC 3." There is a 20-foot mural depiction of Joanna Jedrzejczyk fighting Claudia Gadelha on a wall between two meeting rooms at the EA Sports studio in Vancouver. It's a visual representation of the video game production company's continued commitment to the gameplay experience. Especially for gamers who like to play as women. "UFC 3," which is being released on beta demo on Friday, with a full release on Feb. 2, 2018, reiterates that commitment. 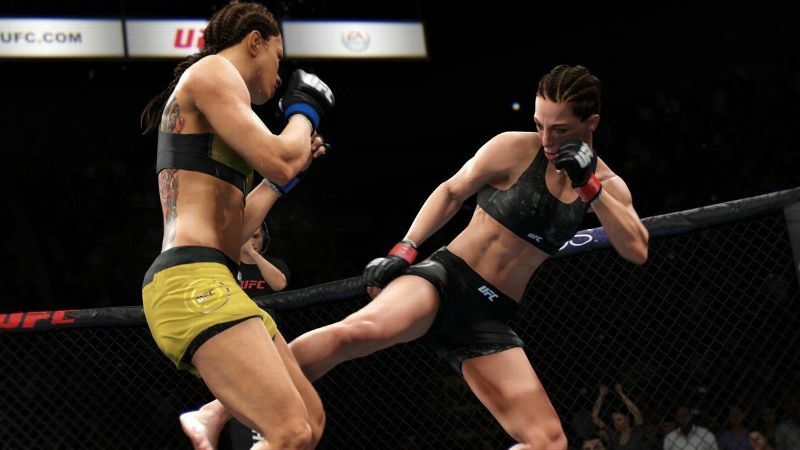 "Our philosophy is that [women] are a big part of the UFC [experience], so they have to be a big part of our game," EA Sports creative director Brian Hayes said. "It's hard to think of any other sport where [women] have been as impactful as they have been in the UFC." "Women are 100 percent on equal footing with men in this sport," said Tracey Bleczinski, senior vice president of global consumer products at UFC. "They compete in the same size Octagon. They have the same number of rounds. All of the equipment is the same. Also, compensation isn't based on being a woman or a man; it's about the athlete. That's unique to the UFC, and so we want to make sure our female athletes are represented that way in the game." 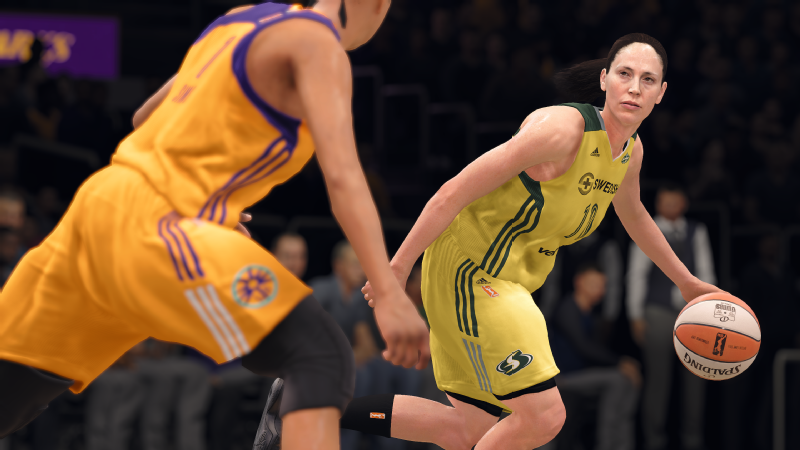 The game is packed full of new features and women have been a key part of that. The Real Player Motion (RPM) Tech, which allows for data to be captured in real time from athletes, debuted in "FIFA 18." It is a key component of this release. 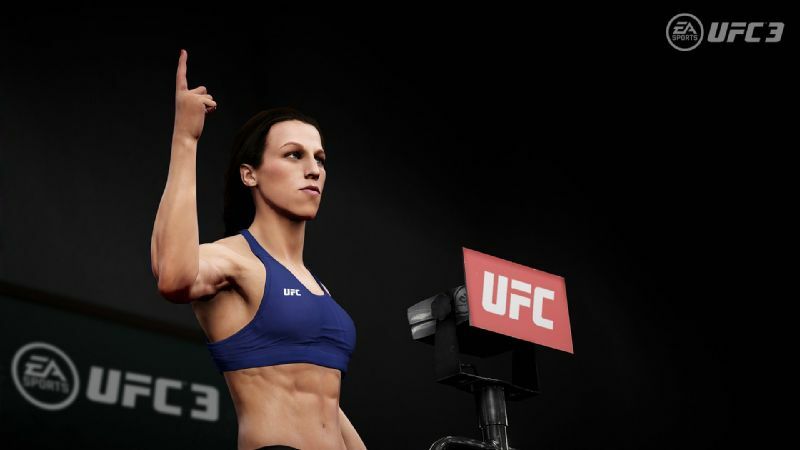 The technology allows the EA Sports team to build animations that reflect the actual movements of fighters, and for the first time captured data from women fighters on the UFC roster, instead of actors. 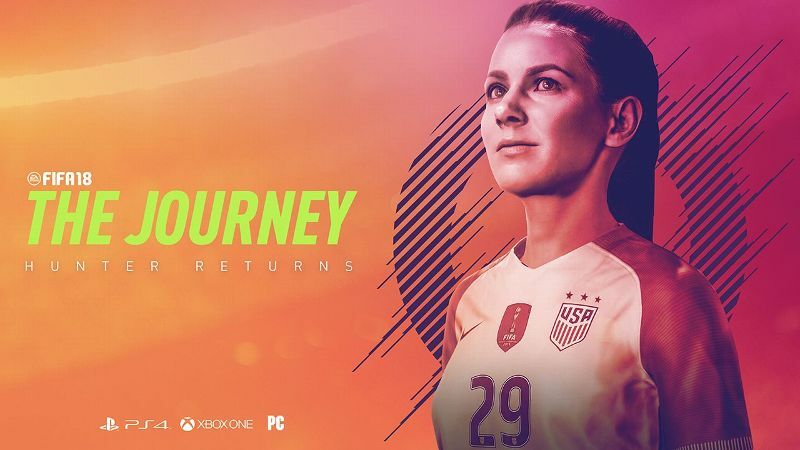 "We had women athletes come in to represent their movement in the game," EA Sports senior producer Marc De Vellis said. "Women have unique movements and men have unique movements as well. It's those small nuances that we have to capture." EA Sports gathered data from Kailin Curran, Angela Hill, Felice Herrig and Carla Esparza, who all compete in the UFC's strawweight division. They were selected due to a combination of interests (Hill is also a gamer), as well as proximity and availability. Four male athletes participated in the motion capture process. "It's so much easier to bring in an athlete to do motion capture now," Hayes said. "In the past, if we wanted to bring in an athlete to do a full capture, it might take two days. Now, in half a day, we have all the content we need." For the actual shoot, the athletes were put through the paces. For multiple hours, they moved around in their fight stances at varying speeds. They ran, shuffled, and finally, threw a few punches. "I was a little surprised by how much normal stuff they wanted me to do," Hill said. "I thought I was just going in to punch and kick." And three hours of constant movement while wearing a motion-caption suit is no easy feat. "We were sweating a little bit," Esparza said. "It got pretty hot in there." The data captured will elevate the presentation of the fighters in the game. Hill's hook is different from Esparza's, and "UFC 3" will reflect that. Ultimately, the goal is to build a bank of fighter animations using RPM Tech. "It's always easy to look good in a screenshot, but as soon as the athletes move in our game, that's where it has to look seamless," De Vellis said. "You can only do that by getting the athletes in the studio." Gamers can opt to play Jedrzejczyk in "UFC 3." There are other details nestled into "UFC 3" that will create a more thoughtful presentation of female fighters. One of them is the addition of "camera ready" hair that female fighters will have at news conferences and weigh-ins. The game also features two female divisions, strawweight and bantamweight. The featherweight fighters, namely Cris "Cyborg" Justino, were folded into the bantamweight division for the game. And fighters who either will compete in the new flyweight division, like Paige VanZant, or who have shown interest, like Valentina Shevchenko, will remain in their original divisions for the gaming experience. It is a ding for authenticity as the UFC continues to develop more opportunities and divisions for women, but on the bright side, now we can simulate that Cyborg/Rousey matchup that will never happen in real life. "We didn't do a good enough job representing females in 'UFC 2,'" De Vellis said. "'UFC 3' is a step in the right direction." The "G.O.A.T. Career Mode" is another new option to the UFC gaming series. Players will be able to make decisions outside of the Octagon that influence their status as one of the greatest fighters ever. Whether it's getting into social-media squabbles, settling the score of a rivalry, jawing at news conferences, or promoting the next bout, these moments add to each user's experience. 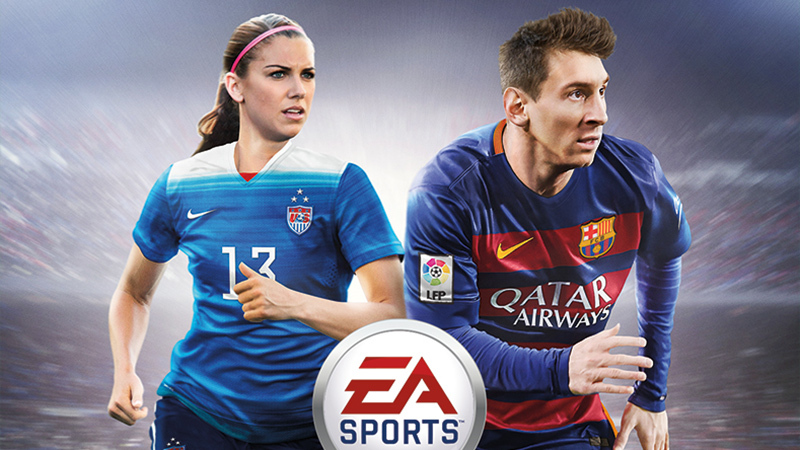 This expansion of the career mode is available regardless of the gender of the fighter selected or created. 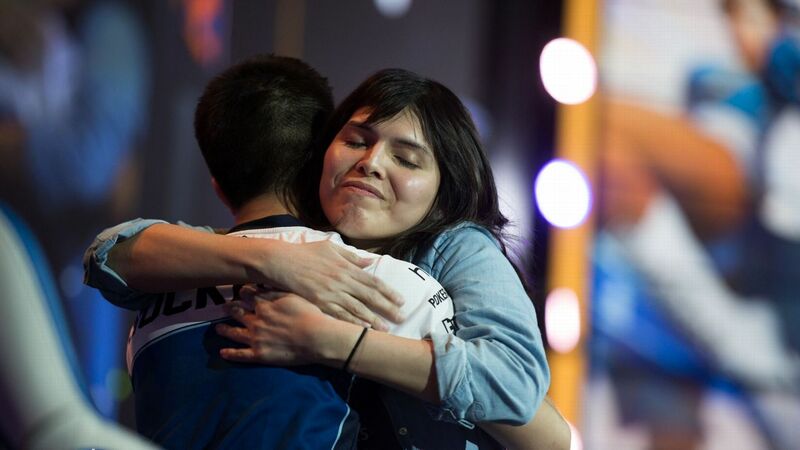 "I think it's cool for women to see women in these games," Bleczinski said. "We're continuing to expand and grow as it relates to female athletes. For me, working for an organization that puts female athletes and male athletes on equal footing is pretty cool."